As any regular reader of this blog will know, I’m a big believer that you should be regularly publishing content across multiple platforms. It’s the most effective way to reach your marketplace, grow your traffic and build your online visibility for all sorts of reasons. Such content platforms include LinkedIn Pulse, SlideShare and YouTube, not to mention all the main social networks. There’s another biggie to add to the list, and that’s the Medium blogging platform. It’s one of the most popular online sites, attracting millions of visitors, and has hundreds of thousands of users. For your business, it’s another key content portal from where you can start to attract increasing amounts of traffic and leads over time. As I’ll show you, it’s an interesting mix between an intuitive, easy to use blogging platform and some of the viral power of social media. What Medium is and how it works. How to publish content on the platform. 15 top tips for using Medium effectively for business purposes. Get the cheatsheet with everything you need to blog on Medium. All the main social sites are heading in a similar direction: becoming fully-fledged content sites where users can consume all the content they need right where they are. The truth is, they don’t want people to leave. Instead they want to encourage users to stay and consume the content right where they are. The longer someone stays within their platform, the more data they can harvest, and the more advertising dollars they can earn. Makes sense. LinkedIn acquired Pulse in April 2013 to integrate longer-form content, and SlideShare a year or so before that for presentations, as well as to a smaller extent business documents and videos. Facebook launched auto-play videos in September 2013, relaunched Facebook Notes for longer-form content, and live video broadcasting towards the end of 2015. Twitter launched Moments in October 2015, launched auto-play videos similar to Facebook in June 2015, and is reportedly looking to permit longer content beyond its traditional 140-character limit. It all means your own website’s role in reaching your marketplace is declining. As I said at the beginning, your content must be wherever they are, rather than where you want them to be. Websites won’t die out completely, but we might just see the death of them as a primary marketing channel. Are you aware of the impact Millennials are having on your business right now and how your marketing must adjust in order to reach them effectively? Get all the answers you need in this essential guide, Special Report: The Rise of the Millennials. Yes, But What About Medium? Medium was created by two original founders of Twitter, Ev Williams and Jason Goldman. It was designed to allow easy creation and consumption of content, with strong influences from social media that facilitate distribution of that content. You publish a new post on your blog. You Tweet out a link to it, it gets picked up by one or more amplifiers and becomes viral. The result is your content reaches far more people than it would have done otherwise. Medium aims to give you all of that within a single blogging platform. Its algorithm means the content that attracts the most engagement – in terms of people actually reading the content and referring others to it – rises to the top and gets seen by an increasing number of people. Conversely, lower quality content sinks to the bottom largely unnoticed. (Once again, it’s the quality of the content that counts here). Plus interacting with other Medium users is a big part of the experience. I’ll show you more about how this works shortly. As a business all you need to know is this. It’s somewhere you should be publishing content to regularly as another key way to reach your marketplace. If you’re unconvinced, here are some stats that might make you sit up and take notice. In terms of the actual number of users with accounts, there’s no published information that provides an accurate figure. However, all users initially follow Medium’s Editor’s Picks publication by default. This currently has 650 thousand followers and so provides a good estimation. 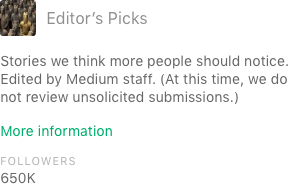 Medium’s Editors’ Picks collection, which all new users follow by default, has 650 thousand followers, giving some indication of their user base. So in brief, hundreds of thousands of users, over a million on the site daily, and clearly not to be sniffed at. The idea is to siphon off just a tiny fraction of this audience as traffic and leads for your own site, through some of the tips I share with you below. Already published an article to LinkedIn Pulse, Facebook Notes and other content platforms? It’s only going to take a few more minutes to publish the same content here. It’s another content asset for your business that continues delivering benefits over time. Here’s my first story on Medium, based closely on the same article on LinkedIn Pulse, itself repurposed from the original blog post. Repurposing meant it only took a few minutes to create and publish. 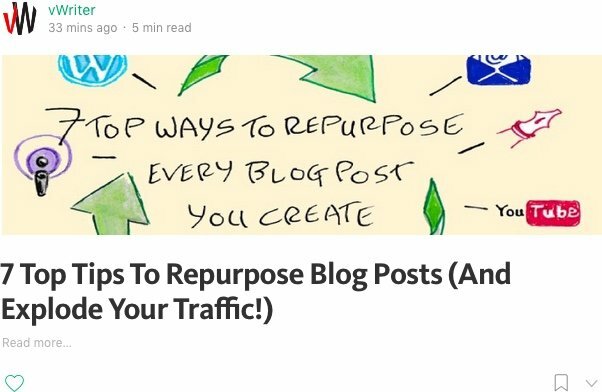 My first story on Medium with tips on how to repurpose blog posts. This was created in just a few minutes by simply repurposing existing content I’d published elsewhere. Before I show you how to start publishing on Medium, an important point. Certain high-profile businesses like BaseCamp, along with plenty of non-business oriented bloggers, have shifted their blog entirely to Medium’s platform thanks to its ease of use, reach, and engagement levels. However, it’s not an approach I would recommend for most businesses. Medium should be seen as an additional platform to gain visibility, not an instead-of. Most of the arguments I’ve seen in support of shifting over completely don’t seem to even consider the possibility – and benefit – of publishing both on your own site, and on Medium. You want to build the authority of your own website on Google, rather than give Medium all the benefit of your content. Attracting traffic to your own site gives you a lot more power to build leads for your business. For example, you can test all manner of different opt-in mechanisms. It’s all under your control. You can’t add a Hello Bar use a Welcome Mat on Medium. Similarly, there are fewer opportunities to grow your social reach on other networks. Social sharing of the content is limited to Twitter and Facebook, only available at the end, and less than obvious. You shift strategy a year or two down the line? Medium becomes less useful than it once was? They start adding advertising – perhaps for competing businesses – within your content? They reduce your reach, unless you pay? Medium will suggest other content from other businesses and authors for people reading your content. On your own blog, that’s all under your control. You can’t take advantage of useful plugins like Yoast that help your content rank, or add other useful features. You have more opportunities for your content to get found, whether on your blog, on Medium, or on other sites. It limits your options for analyzing user data. While Medium provide you with some stats (more info below) you can’t for example integrate with Google Analytics. Finally, you get the best of both worlds including all the benefits of publishing on Medium! 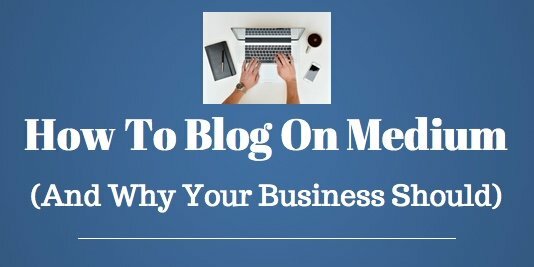 Keep the content on your blog unique rather than publishing it elsewhere as well. That allows your own site’s authority and visibility on search to be maintained and to grow. You don’t want to find all credit for your content has been given to a different site. It builds your overall search visibility. Different content means you show up for a greater number of search queries, whether for content on your own site or content you’ve published elsewhere. Longer-form content (e.g. 2000+ words) may perform best on your own site, but you might find shorter content (e.g. 1000 to 1500 words) is preferable on Medium. Different platforms require different approaches. However, you can save some time by republishing the same content across Medium, LinkedIn Pulse, and other content sites. Even then, you should still make a few tweaks here and there to optimize it for the relevant platform. Create an account by clicking the button on their home page. Sign in through Twitter, Facebook, Google or providing your email. You’ll be blogging on Medium to help build visibility for your business. So you might want to enter a name and username that reflects that business. Enter a name and username that reflects your business. Or your own name if you’re building more of a personal brand. The username determines your ‘handle’ on Medium, which uses the @ symbol as on Twitter. For example, https://medium.com/@vwriter. You might also decide you’d prefer to use your own name on Medium, and develop a personal rather than a business brand. However, think carefully and how it fits in with your long-term goals. If I had the chance to go back, I would definitely go for a business brand and remove my personal brand. After creating the account, you’ll be asked to select some interests. Select half a dozen or so that reflect the type of content you want to see. In the step that follows, you’ll be given the opportunity to follow certain people based on those interests. You may find some of them pre-selected (which I’ll explain more in a second) – you can adjust these as required. Follow people on Medium – this is how you too will be able to build your own audience to share content with. Following people – and being followed – is an important aspect of Medium. As you build up your content and your following, it gives you an increasing level of distribution for your content. For example, people who follow you are more likely to see the content you create. As one element of this, your followers get regular email digests which help publicize new content you’ve published. (This setting is on by default, but can be adjusted within individual accounts). Hopefully you’re beginning to see the potential for building your own visibility on Medium’s powerful blogging platform. How Do You Build Your Medium Audience? The good news is when you connect your Facebook and/or Twitter account to Medium, your social connections become part of your network. This can mean you might have hundreds, if not thousands, of followers on Medium before even writing a word. What’s more, when you get a new follower on Twitter who is also on Medium, they become a new follower for you on Medium as well (see how to increase your Twitter followers). Presumably, the same applies to Facebook friends. 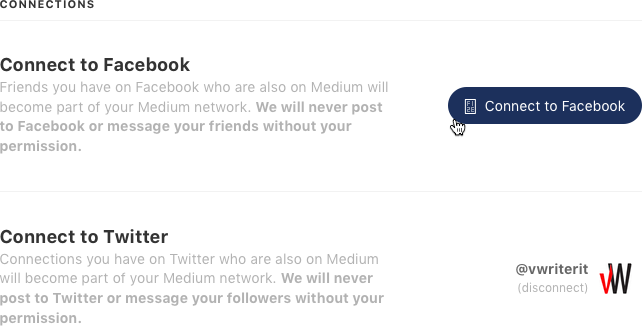 Connect Medium with your Facebook and Twitter accounts, via the Settings page (click your user icon, top right of Medium, and then Settings). The only downside for business purposes is that you can only connect with a personal Facebook page. You can’t connect with your Facebook business page and take advantage of your existing Likes. For my own purposes on Medium as vWriter, I’ve only connected my Twitter account as a permanent connection. A permanent connection with Facebook would mean my vWriter Medium profile linked to my personal Facebook page. However, while I only use Facebook minimally on a personal level, I still wanted to take advantage of anyone I’m Friends with that could be added to my Medium network. So I connected briefly with Facebook, and then disconnected, and added a few more to my network. Mainly thanks to several thousand people following the vWriter Twitter account, all this meant I had 361 followers on Medium before I even got started. View the vWriter profile on Medium here. Your Twitter followers become followers on Medium. Your followers are all people who will start seeing your content on Medium. It’s another advantage from investing in regular content production and growing your social audiences. This is how you build authority and influence. What About Building Your Followers on Medium Over the Long Term? Publish quality content regularly. The more visible your content, the more followers you can attract. This is why it’s so important to systemize your content repurposing. That way, you’ll have a regular flow of your content on different platforms. Study the analytics data for your Medium content (more on this below). Look for what’s working and do more of it to reach more people. Continue focusing on building your social audiences. For example, if you’ve connected Medium with Twitter, each new Twitter follower might also be on Medium and be added to your followers there. Follow other Medium users who may have an interest in your content. Some will follow you back. Engage in other people’s posts. Look for content that attracts a similar audience to your own content. Medium refers to posts as stories. It’s very intuitive to get started. To create a new post, click your icon top-right, and New story. This takes you to their full-sized editor. More on that in a second. As a logged-in user you can also start writing straight from the Medium.com home page. 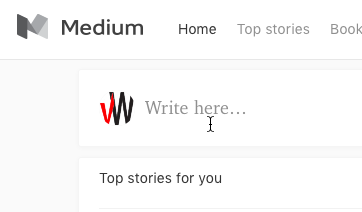 You can start writing new content straight from Medium’s home page once you are logged in. This is largely for quicker, shorter updates. However, their full-screen editor is just a click of a button away. You’ll notice how similar their home page is to social media sites like Facebook. The latest updates published by those you follow are listed down the page. Interact with the content by clicking to recommend and share it, or bookmark it for later use. Click Read more… and you’ll be able to leave a comment at the end and share on other social networks. Content within Medium shows you the length of time it will take to read the content along with some stats to help indicate popularity levels. The editor is very minimal, intuitive and easy to use. Formatting options are purposefully kept to a minimum. That makes it hard to publish content that looks anything other than professional. 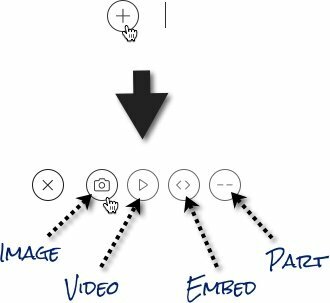 Add a new element to your Medium post, whether an image, a video, an embed or a new part. A new ‘part’ to a Medium story. Tips on using the Medium editor are shown at the bottom. Click the > arrow to see more tips. Here are a couple points I noted of interest. Include other content on Medium by entering a link and pressing Enter. This is another reason to ensure your social meta tags are used correctly on your site, as these are what determine the information that’s shown. By mentioning someone in your story, that person will get a notification after you publish. This is one more way in which the site takes advantage of social media principles. It helps you to network, connect with influencers, and build your own profile and visibility. You mention someone by typing @ and then their name or username, eg. @their_name. Mention someone by typing @ and then their name or username – select the user you want. Here are full details from Medium on how this works. Sure, many people are publishing content on Medium who don’t have any business motivations. But if you are using Medium for your business to help reach your marketplace, how can you get maximum value out of your efforts? So use the tips below to ensure you get maximum benefit from the platform. Remember too that content has the potential to go viral on Medium, and you can’t predict when that will happen. It could be your first piece of content or twentieth. If and when it does happen you want to know your business will take maximum advantage and reap the rewards. 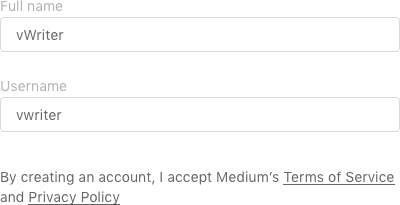 Use your business name as your user name on Medium. Ideally, use the domain name of your site. For example, I updated my own profile to vWriter.com rather than just vWriter. Try using your domain name as your username and take advantage of additional traffic that will attract. This makes it clear the content relates to a website. A proportion of people will just type in the domain and visit it out of curiosity. Add a Link to Your Profile. Some of your readers will click through on your profile at the top of your content to find out more about you. (For an example, see vWriter’s profile). Plus, your profile shows at the bottom of your content. Any links in your profile are clickable. Take advantage by linking to say a relevant opt-in page on your website, and/or encourage readers to follow you on social. Add a link to your Medium profile to help build leads and/or your social audience. As always, concentrate on publishing quality content that’s valuable to your marketplace. Think of how Google’s SERPs (search engine results pages) operate. Medium operates on a similar principle. Their algorithm is heavily geared towards increasing the visibility of content it detects as valuable and useful. Content that attracts little engagement simply sinks to the bottom. Focus on building your network by following the advice above. This means developing followers not just on Medium, but also across social sites. You also need to be publishing content across other content sites that help attract social followers to you. The bigger your network across different sites, the more power you have to drive traffic at will, increase engagement levels, and enjoy ever-increasing benefits as those effects start to snowball. Driving traffic back to content on your own blog where you have optimized conversions with multiple opportunities for visitors to opt-in to your list. To do this, link back to related posts on your blog that provide additional value. This is no different to what you would do within posts on your blog itself. Example of offering a content upgrade within the content on Medium to help build your list. Offering other relevant lead magnets that aren’t ‘content upgrades’ as such, but would still be of potential interest to those reading. UPDATE: For a full tutorial on using content upgrades both within your blog posts and content you publish elsewhere, see Build Your List With Content Upgrades: On Your Blog… And Beyond! Drive Engagement Up for Content on Other Channels. 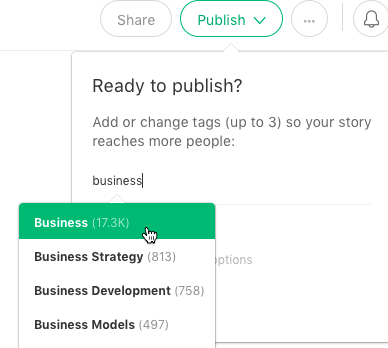 Medium allows you to embed other content in your stories. This includes SlideShare presentations and YouTube videos. Increase engagement in your Medium content by offering more value and keeping readers on the page for longer. Drive up your engagement statistics on other channels. By attracting more views for your videos and SlideShares, you boost your authority and credibility, attract followers on those channels, and through higher levels of engagement increase the visibility of the content further. Ask People to Share and Recommend – and Follow. While some people share and recommend content naturally, others may just need some encouragement to do so. It’s not that they wouldn’t want to – but they simply won’t think of doing so. So a quick nudge in the right direction can work wonders. And while you’re at it, why not encourage readers to follow you as well. Try encouraging readers to share, recommend and follow. Another example on Medium, from Jon Westenberg (source). Notice how he also uses the opportunity to link through to another piece of his content to extract maximum advantage from the reader. He also includes links to his website, his Twitter account, and even provides his email address. Jon Westenberg tends to write fairly reactionary pieces that get high engagement levels. While you might not want to take the same approach, it’s certainly worth testing different approaches as you become more familiar with the platform. Publishing regularly on Medium is just as important as publishing regularly on other content platforms, including your own blog. It’s how you build your network, credibility and authority. Someone with 100 stories looks a lot more credible and and authoritative than someone with just a handful. Generally speaking, the more content you publish on such platforms, the greater the benefits and the more they start to build. Medium supply you with useful stats and analytics relating to your content. This means you can see what’s working, and what’s not, and adjust your strategy accordingly. For example, you might find a certain length of content attracts the most engagement. Or perhaps certain types of content (such as Jon Westenberg’s reactionary pieces mentioned above) perform better than others. Or posting on certain times of day or days of the week give you maximum results. View your Medium stats to gain insights into how your content is performing. For each article, you’ll see Views, Reads and Recs. Recs are the number of people recommending the content to others. What’s useful to keep an eye on is the difference between the Views (people clicking through to the content) and the Reads (people actually sticking around, scrolling down and reading it). The higher proportion of Reads you can get, the more visible your content will generally become for others. As the adage goes, what you measure, you can improve. Do more of what works. Less of what doesn’t. Use Tags to Maximize Your Reach. 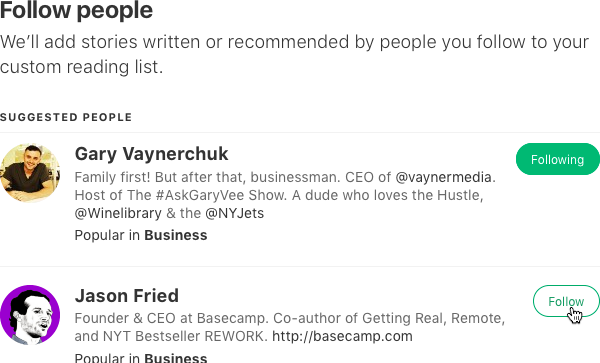 People can follow specific tags on Medium. Use this to your advantage to help reach targeted audiences. 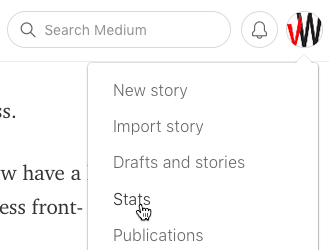 When you click Medium’s Publish button, you’ll see the opportunity to add tags (or edit those automatically suggested based on your content). You can add up to 3 tags. You’ll see a number next to each tag that’s listed. I was unable to find information on whether this number relates to audience size or number of articles published but would imagine it’s the latter. 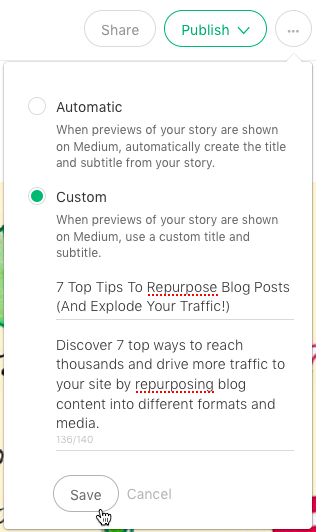 Use appropriate tags on Medium to reach more people. The wisest approach may be to select a fairly generic (but still relevant) tag that will have a larger audience, and then a couple more specific tags. This is a little like adjusting the meta description of your blog post to maximize your CTR on search (see #1 in these 10 steps to promote your blog posts). In the same way, you can optimize what’s shown on Medium to boost the number of people clicking through to your content. 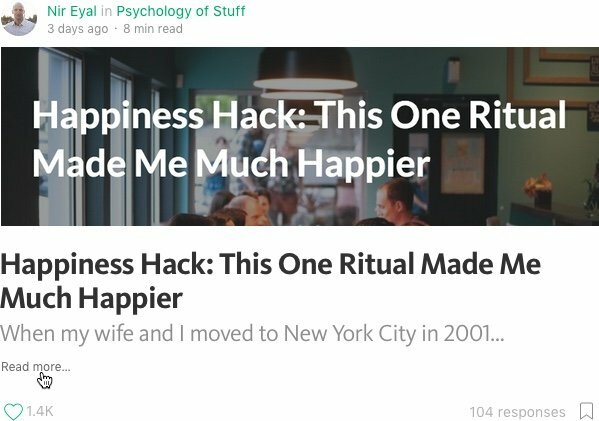 Just as you would regularly cross-link between posts on your own blog, do the same on Medium. Siphon traffic back to your own site. This increases engagement with the reader and gives you more chances to convert them into a lead and/or social follower. Rank your other content on the search engines, thereby increasing your overall visibility. Note: Links from content on Medium are no-follow, so won’t help your ranking directly. But by helping readers to discover your other content, you can indirectly help it to rank. This might include links to your content from other posts, social shares (again helping your rankings indirectly), and so on. Grow your viewing stats for other content, building your authority, credibility and engagement levels. So link to posts back on your blog, as well as to other content on LinkedIn Pulse, YouTube, SlideShare, Facebook Notes and elsewhere. And of course to your other content on Medium. An easy way to create a new post on Medium is to use their Import story function. 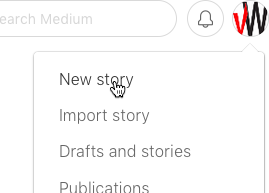 Use Medium’s Import Story function to add new content quickly. When you supply the link to an existing blog post for example, and it will import all the content including images. You can then repurpose and adjust it as required. This function works with WordPress, and some other sites, but isn’t without issues. For example, you’ll need to spend time adjusting some of the formatting, adding images that may fail to load properly, and so on. But overall it’s worth experimenting with and can certainly save some time. Publications on Medium used to be referred to as “Collections”. They are a way to effectively create your own blog within Medium. Set the name, add a description and an avatar. Provide links to your Twitter and Facebook pages. Set your home page layout. Add editors and writers as required. Users can follow publications, just as they can follow tags and other users. Create a Publication (via the avatar menu) relating to your business where you will publish your content to. This helps build your branding and your business’s reputation as an authority on your subject area. Plus you can take advantage of potential added traffic by referencing your domain name, adding links in the description to opt-in pages on your website, and more. 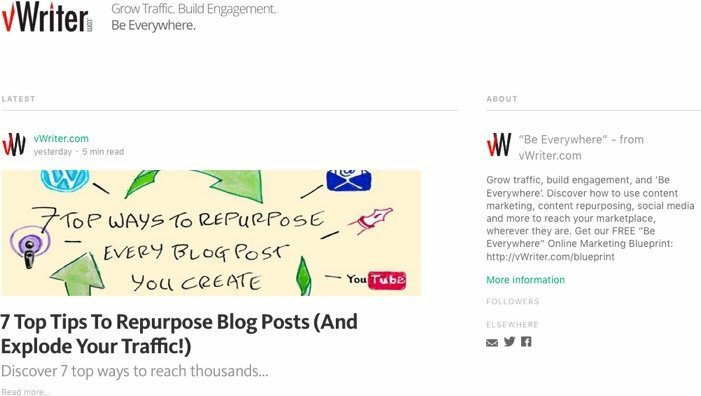 Here’s a quick screen shot of vWriter’s “Be Everywhere” publication on Medium. Note the frequent references to the domain name, and the link to this opt-in page via the About section. The following Tweet from Medium tells you how to access your feed. Note that ‘collections’ in the Tweet below refers to ‘publications’ as described above. RSS is now available on Medium for collections (e.g., http://t.co/IdzZKFvt) AND authors (e.g., http://t.co/M4FJ9ewD). OMG! #PARTY TIME! Use your feed within vWriter to automate, delegate and manage the creation and publication of social posts, other content repurposing activities, and so on. 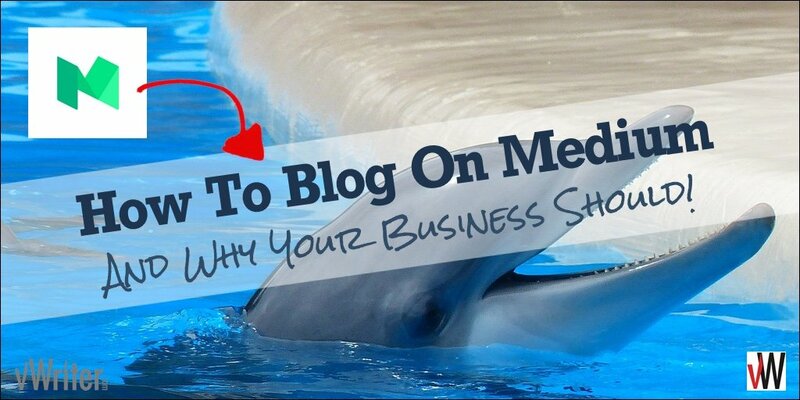 Get the cheatsheet with everything you need to blog on Medium effectively for your business. This ultimate guide to publishing your content on Medium’s blogging platform gives you everything you need to start taking advantage of Medium for your business. Add the site to your republishing schedule and post content regularly, along with other sites, to build your online visibility and attract your marketplace. Wow, amazing article Steve! I’m bookmarking this post and will start to implement right away! I’m just starting my own blogging journey and I feel that your content is so vital for my success moving forward. It’s amazing how you can multiply your reach and leverage simply by re-purposing all of your content across different platforms. After a while you can create web of re-purposed content that drives traffic to each other piece, and at the same time attract an audience across different social platforms back to your blog, all while growing your presence in each social platform. 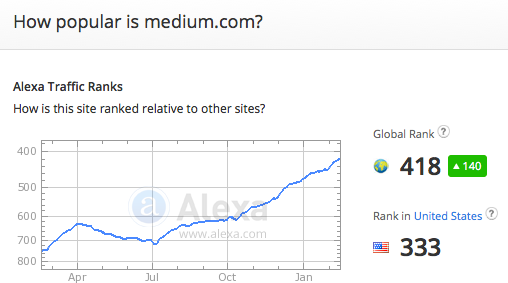 Yep yep Medium has turned into my primary traffic source to my blog. I find more result in syndicating my content on Medium than on LinkedIn Pulse or Facebook Notes. I’m a Medium users for almost a year now, and I did hacks here and there to constantly get more eyeballs on my Medium profile. One of the hacks I did was to put an email subscription box in all my Medium posts, that way I can start growing an email list. Hi Kate, thanks for your comments, and good to hear the success you’re having on Medium. Yes, I’d recommend using content upgrades within repurposed content you publish elsewhere to help build your list. I have been looking for a way to delete responses I have been getting from what seems to be a grade schooler. Is this possible to do in Medium? My post was a bit controversial and must have ruffled this young persons feathers. If she was responding in a mature way and leaving useful responses, I would not even think about wanting to delete them. But this is not the case. Once you’ve done this, the responses shouldn’t be shown on your posts. This is an epic. Actually, I was looking for repurposing then found this. Will definitely make use of it. Is there any option to redirect my WordPress blog to the medium blog post? Basically, when I create a new post on my site blog it will automatically go on my medium account.